We had to outline the strongest point of the product – guaranteed quality and level of sweetness of every package. A product of well-know producer Zaharni Zavodi Gorna Oriahovica which has more than 100 years of expertise and traditions. Thus raising significantly the top of mind position of the brand. Not everything that looks sweet is actually sweet or at least always sweet enough. 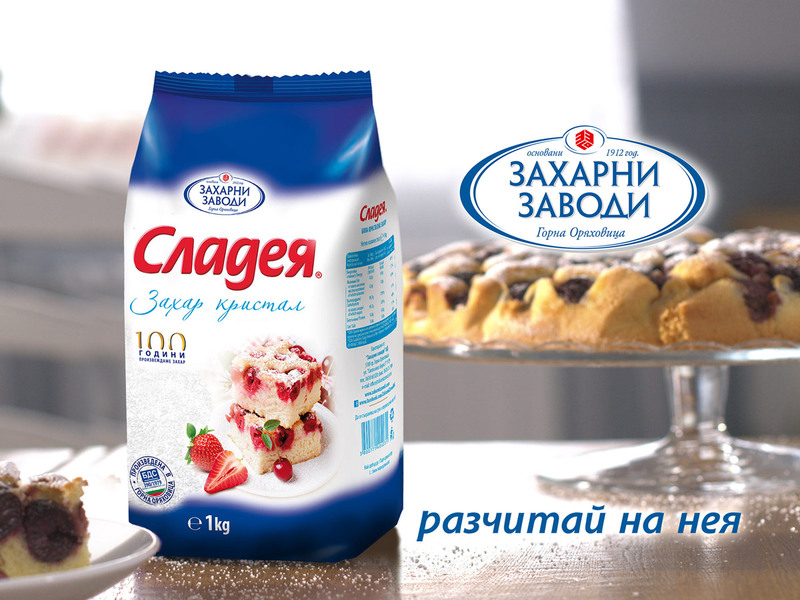 The consumers has already indicated this problem before the campaign, so in our TVC we outlined exactly this strong product characteristic of Sladeya sugar – it is always with the same quality and level of sweetness. So the conclusion is “Sladeya – you can count on it!”. More than 100% increase in major consumers’ perception metrics. Such as brand awareness (top of mind and prompted), penetration, etc.